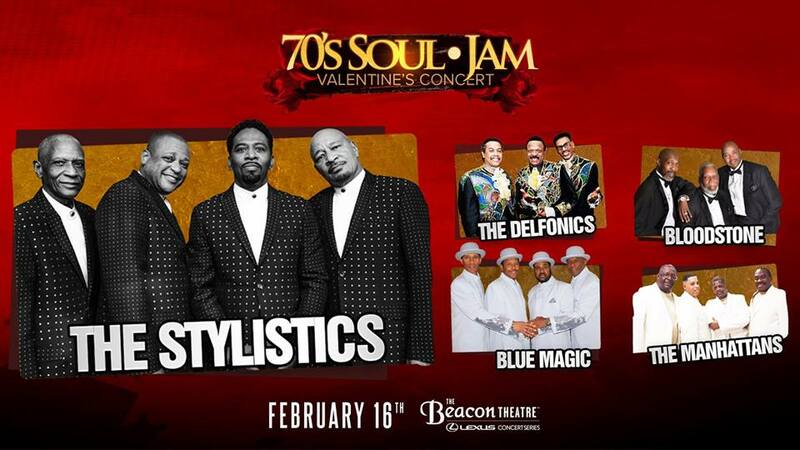 The 70's Soul Jam Valentines Concert at The Beacon Theatre Saturday February 16, 2019. Two shows 3p and 8p. Starring The Stylistics, The Manhattans, The Delfonics, Blue Magic, Bloodstone.